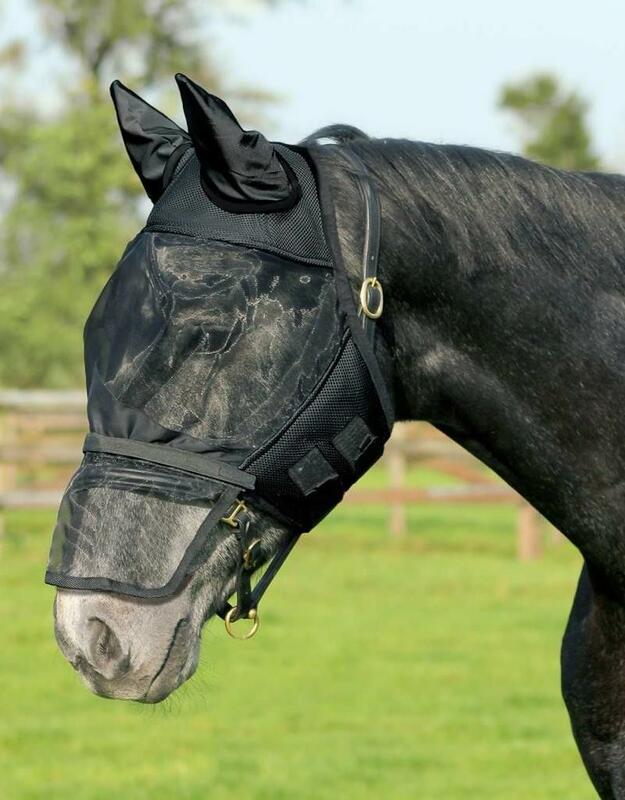 Fly mask with a nose flap which can be detached by means of Velcro. The mask itself is made of firm mesh. With lyrca ears for high comfort. The coloured part is made of highly breathable materials.